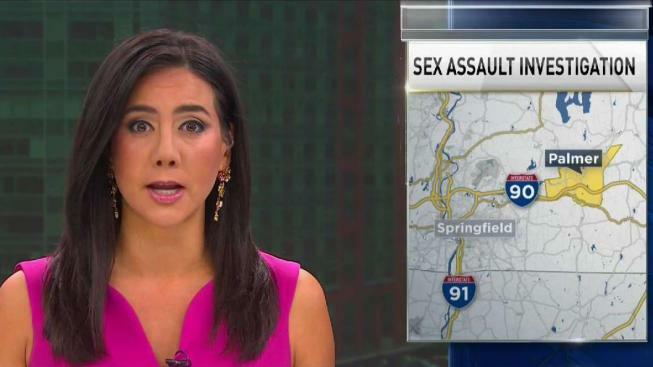 Massachusetts State Troopers have identified and arrested a man in connection with a sexual assault near the Palmer-Brimfield line. Police say Leemichael Collins, 25, of Palmer, was arrested and is expected to be arraigned in Palmer District Court on Wednesday. According to police, a 38-year-old woman walked out of the woods along the Massachusetts Turnpike near the Palmer-Brimfield line and flagged down a passing tractor-trailer at approximately 5:20 a.m. Wednesday. She then reported she had been held against her will, sexually assaulted and strangled inside a camping trailer in Palmer. Troopers and EMS responded police said. Troopers searched the wooded area parallel to the turnpike, near the Palmer Interchange, and discovered some evidentiary items. Based on the investigation, troopers went to a trailer parked on Flynt Street in Palmer, police said. Further investigation led troopers to name Collins, a resident of the street, as a potential suspect. Collins was brought to Palmer Police Station for interviewing and then arrested. The victim was transported to Wing Hospital in Palmer. Her condition is not known.